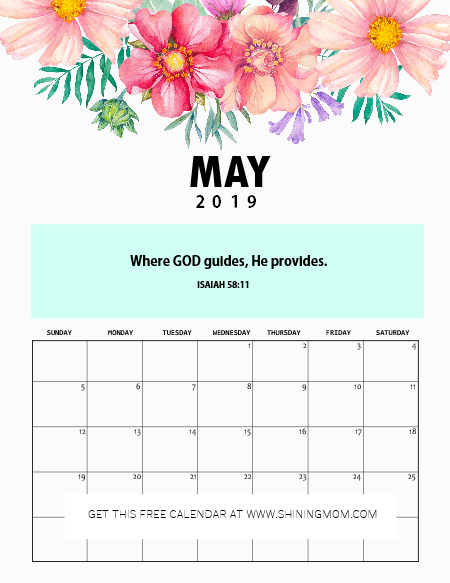 FREE 2019 Desk Calendar with Bible Verses to Motivate You! 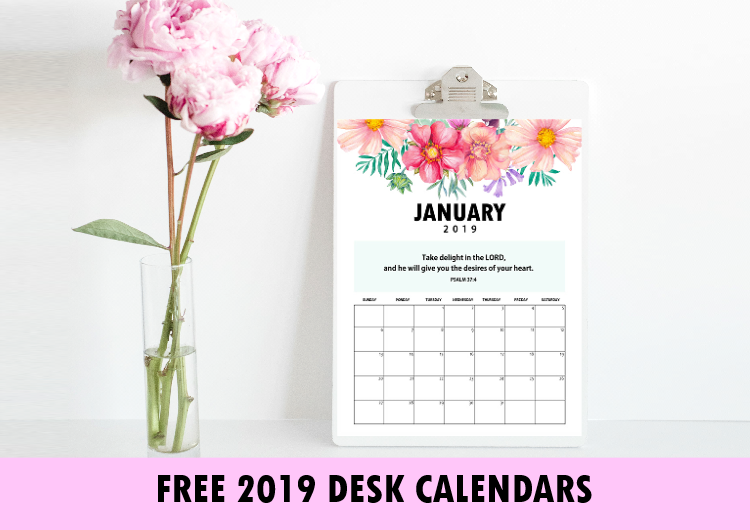 Looking for a free 2019 desk calendar with Bible verses to keep you inspired? I am happy to share this very special calendar that has empowering words from the Bible! Embrace God’s love and live by His promises as you walk all through 2019. Use this free calendar to organize your plans and be more intentional in navigating your life! Friends! My heart quietly leaps in joy as I share this special calendar edition. Oh how I love calendars with Bible verses. I love how they inspire us to live a life by His love and grace every day! I started sharing Christian calendars as requested by Shining Mom followers. They suggested that they would love to receive monthly motivational calendars with Bible verses from me. And so last year, I launched my very first editions of Christian calendars. I am so glad those monthly calendars inspired many as they have been downloaded and used by hundreds of you! 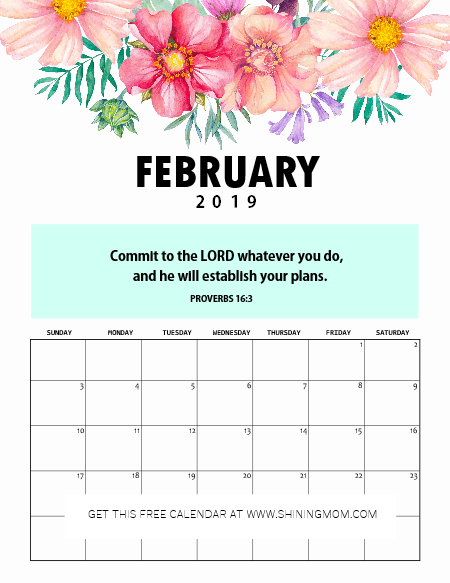 Ready to view our newest free 2019 desk calendar with Bible verses? This edition includes design elements by Aura and the Cat with quotes from the Bible that are all about planning and succeeding in life! This beautiful free 2019 desk calendar with Bible verses that will serve as our every day reminder to be our excellent self each day. How lucky we are to have sweet and loving Father who is always there for us! Let’s have a quick preview to some of the monthly calendars I’ve included in your download. I’ve only included January to June calendars in this preview but don’t worry, you’ll be receiving all monthly calendars for rest of the year in your download! Here are the Bible verses I’ve included for each monthly calendar. They’re sure to keep you inspired and motivated all year long! Get Your Free 2019 Calendar! 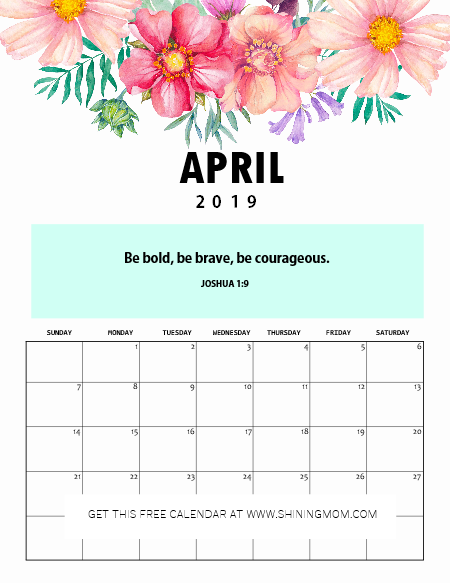 Ready to snag you’re free 2019 desk calendar with Bible verses? Simply GO HERE to receive the files sent straight to your inbox! Please be reminded that these calendars are for printing in US standard letter-size paper. You may also print them using A4 sheets but just be sure to adjust your printer setting. And oh, we also have more calendars and planners for you! do check out the Shining Mom Store! 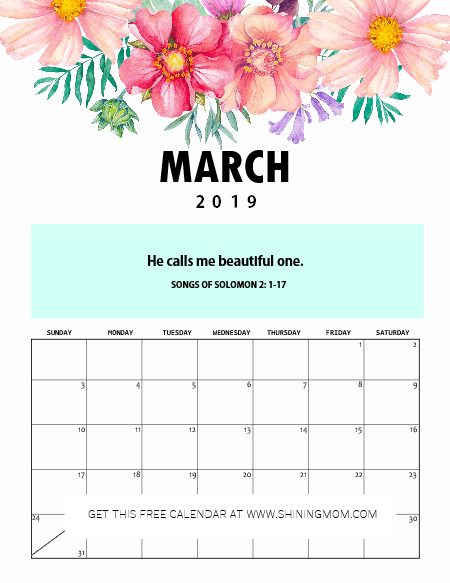 Help Share this Free 2019 Desk Calendar with Bible Verses by Pinning it on Pinterest! If you’re loving this free calendar, I hope you can help us share it away! Please take a second to pin the image below so others can find this post, too. You’ll also help us grow the blog that way! Lastly, if you’re looking for more 2019 organizing printables, go snag our Design a Life You Love Planner and our monthly 2019 calendar templates, too! They’re also for free! Have a blessed 2019 ahead, friends! God bless! 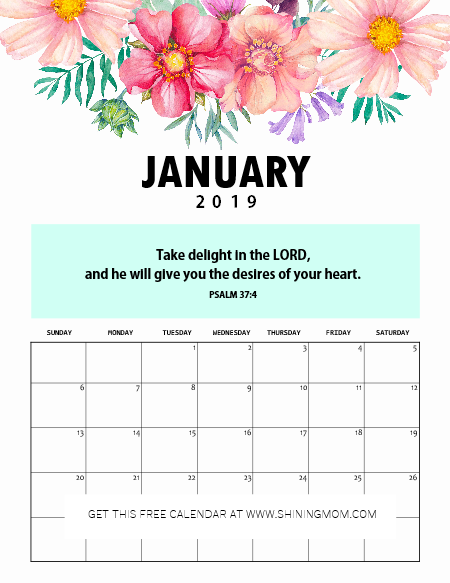 « Free Printable January 2019 Calendar: 12 Awesome Designs!